Care N’ Care’s Utilization Management and Pre-Authorizations are coordinated by SilverBack Care Management. For In-Network Provider referrals and pre-authorizations. PPO health plan referrals serve as a courtesy notification. They are not requested for PPO plans, but encouraged to help better manage the patients healthcare. 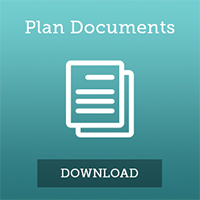 PPO and HMO plans are required to submit pre-certifications and must be submitted prior to date of service. Allow two (2) business days turn-around time for processing. If authorization is not received within two (2) business days, contact SilverBack Care Management at 1-855-359-9999. Please note that Silverback Care Management no longer processes retro requests after services have already been rendered. Silverback Care Management requires a referral or preauth prior to seeing the patient or rendering services. Therefore, please submit this request through Silverback TPA. If you have any questions for Silverback Care Management, please contact our call center at (855) 359-9999. Providers are to submit claims electronically or by mail. Claims submitted less than 30 days prior, please refer to the SilverBack TPA Claims Portal to check status and obtain explanation of payment (EOP). If you do not have a claim portal account, please click on the “Claims Portal” link above and you will be redirected to the portal website where you may submit a request for log in. Accepted file types: docx, xlsx. 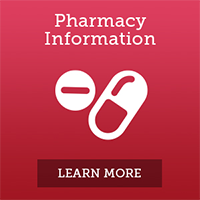 CMS website – What do the new Medicare cards mean for partners & employers? How do I check claims status? Call the CNC Provider Support line at 844-806-8216. How do I file a claims appeal? Changes must be submitted in writing along with an updated W9 either by online, email, or fax. What is the phone number and fax number for Pre-Authorization Department? How do I verify benefits and eligibility? Care N’ Care offers three options for verifying member benefits and eligibility. How do I check if we are a contracted provider? 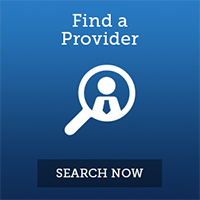 Network Status can be viewed on our online provider directory at our website www.cnchealthplan.com search and then selecting “Find a Provider”. The Member ID card has a separate phone number for Dental, Vision, and Hearing. Is that the number I call for those benefits? The phone number on the ID card is for Members who have the supplemental combination rider, which is for dental, vision, and hearing OR for Members who have the supplemental dental rider only. If they did not enroll for either supplemental rider, call the benefits and eligibility line. Who do I contact if I have questions about my contract or need a copy of my contract? Contact your Provider Concierge for assistance.